The World Famous Conch Train sightseeing tour of Key West focuses on the historic Old Town area of the island. Highlights include the Hemingway House, Mallory Square, Duval Street and the Historic Seaport. Stops in Mallory Square and the Historic Seaport. 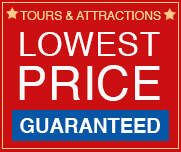 Discount package including daytime and night tours Key West. Spend the day sightseeing with Conch Train. Then join Ghosts and Gravestones for a haunted tour at night. 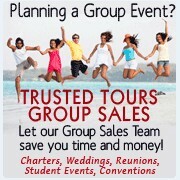 See the best first... with this fully narrated sightseeing tours of Key West, featuring over 100 points of interest. The trolley makes 9 stops so you can disembark along the way for shopping, attractions and dining. See the best first... with this fully narrated sightseeing tours of Key West, featuring over 100 points of interest. The trolley makes 13 stops so you can disembark along the way for shopping, attractions and dining. Join your gravedigger guide aboard the "Trolley of the Doomed" for an evening through Key West's darker side. Ghosts & Gravestones of Key West offers guests an adventure into the strange and macabre past of this Southernmost City. Adventure to the backcountry where stingrays, sea turtles, and dolphin are common viewing around The Keys. This aerial Key West eco tour is one you don't want to miss! While hundreds of visitors gather every evening at Mallory Square, our helicopter tour gives you exclusive aerial access to the Key West sunset celebration! View historical landmarks, marine life, and a complimentary champagne toast. This exciting helicopter ride will take you completely around the island of Key West, allowing you to see both the historical city landmarks and famous marine life (30 minutes). Are you ready for some "spirited" fun? Join in on a spine-tingling adventure through Bone Island. Are you looking for the ultimate Key West tradition? Come along and do the "Duval Crawl". Key West is famous for its bars. Day or night the pubs are always rocking on this small island. Experience 4 interactive stations of cigar rolling during the 75 minute tour at Rodriguez Cigar Factory. 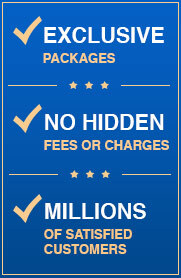 Save time and money and buy discount tickets online. Of everywhere he traveled in the world Ernest Hemingway chose Key West to call home and it's here that we chose to create our artisan rum, Papa's Pilar. Discover how our rum makers craft our unique spirit, uncover the untold stories of Hemingway and experience an adventure Papa would be proud of! Eat your way around Key West on this 3-hour food tour with a guide who introduces you to six 'mom and pop' eateries in the Old Town historic district. You'll taste seafood, Cuban cuisine, and, of course, key lime pie. The walking tour route takes you off typical touristy streets so you can see Key West like a local, listening to insights about the city's food, architecture, and history along the way. Tastings are enough for lunch. Join Us on a sip and stroll through Key West's craftiest bars and hidden local gems enjoying 5 local cocktails & 3 generous tastings!